During the Knorr #LutongNanay event, my group mates and I were assigned the easiest #AsimKiligPaMore Sinigang, the original Sinigang na Liempo sa Sampaloc. I'm sure everyone has already mastered this dish but I would still love to share with you its recipe. Here it is! Please excuse the meat on the photo, there has been a switch during the preparation. 1. Boil the water in a cooking pot. 2. Add the tomato and onion. Set the heat to medium and continue to boil for 15 minutes. 3. Add the pork belly and gabi. Continue to boil in low heat for 1 hour or until the pork gets tender. Add more water, if necessary. 4. Add the Knorr Sinigang na Gabi mix. Stir. 5. Add the long green chili and boil for 3 minutes. 6. Stir-in the okra, string beans, and eggplant and cook for 5 minutes. 7. Add the kangkong and fish sauce. Stir. Cover and turn off the heat. Let it stay covered for 5 minutes. 9. Serve with warm rice. 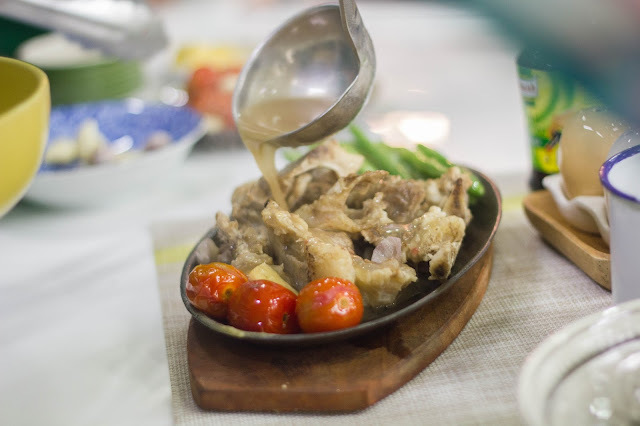 Sinigang with Pakwan recipe is something you'd never thought would be possible. 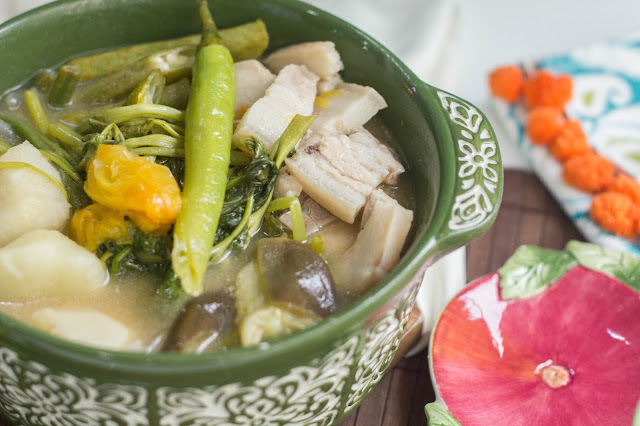 The sweetness of the pakwan or watermelon gives the #AsimKiligPaMore Sinigang dish a cut above the rest. This is probably the dish that has the most number of ingredients but I would love to recreate this for my family because it's delicious and is just easy to prepare. This is definitely going to be a big hit on your next family gathering or any meal time. Sharing with you the recipe here, enjoy! 1. Marinate the pork belly in Knorr Liquid Seasoning for at least 30 mins. 2. Place a large casserole over medium-high heat. Add the oil and, working in batches, cook the pork until evenly browned. Remove with a slotted spoon and set aside. 3. Reduce the heat to medium. Add the garlic and onions to the casserole. Add the tomatoes, ginger lemongrass, gabi and watermelon and cook for 2 minutes before returning the pork to the casserole. 4. Add the water, Knorr Sinigang Mix and Knorr Beef Cube. Cook for a further 1–1½ hours until the pork is almost tender. 5. When the pork is tender. 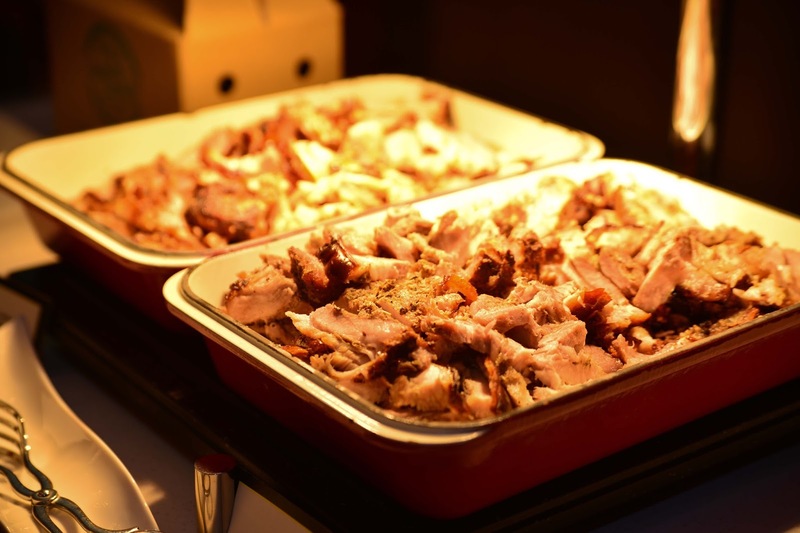 Remove the pork from the casserole and set aside. Strain the liquid and add the fish sauce, soy sauce and pepper to taste. 6. 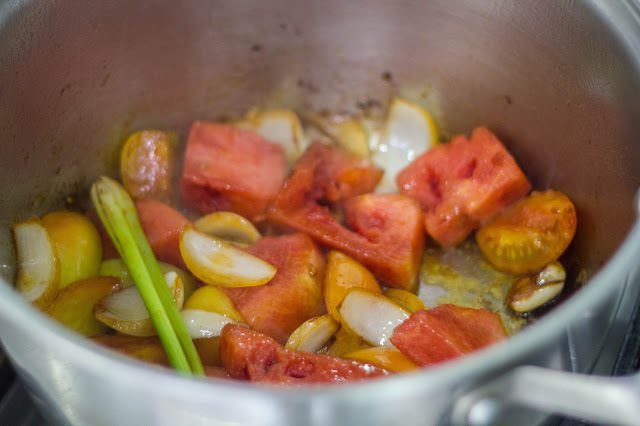 Add the remaining watermelon, beans, and okra and cook for 20 minutes, before adding the water spinach and cooking for a further minute until all the vegetables are tender. 7. Serve with steamed white rice and fish sauce for dipping. This is another #AsimKiligPaMore Sinigang dish that we learned during the Knorr #LutongNanay event. It sounds interesting and soshal. 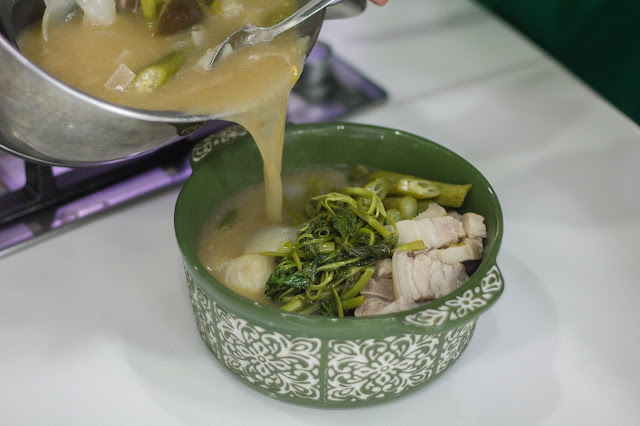 It's made with the usual sinigang ingredients but what makes it special is that it has fish, pork sukiyaki and shrimp in it. 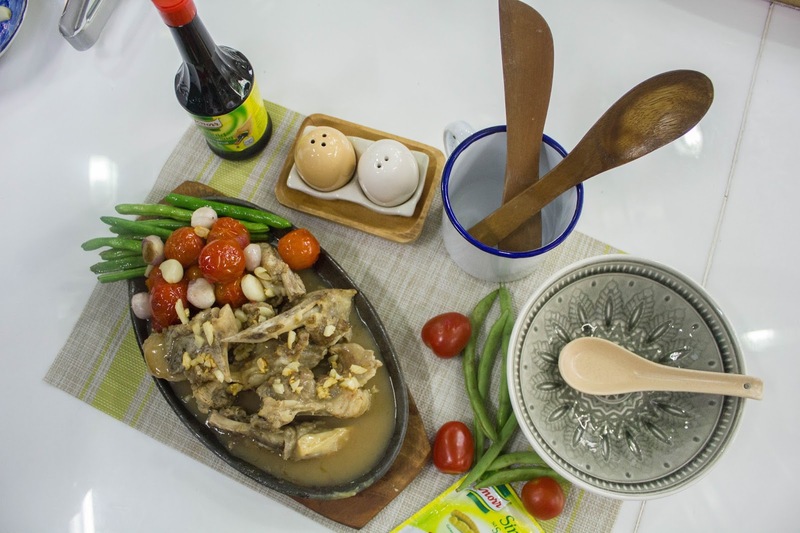 It's definitely a Special Sinigang and here is the recipe. 1. Bring to boil rice washing in a pot with onions, tomatoes, gabi, and green chili until gabi is tender. 2. Add shrimp, maya-maya, and Knorr Sinigang sa Sampalok Original. Simmer until cooked. 3. Add radish, okra, and long beans. Simmer for a minute then add pork sukiyaki and kangkong. Cover for a minute then serve and enjoy! 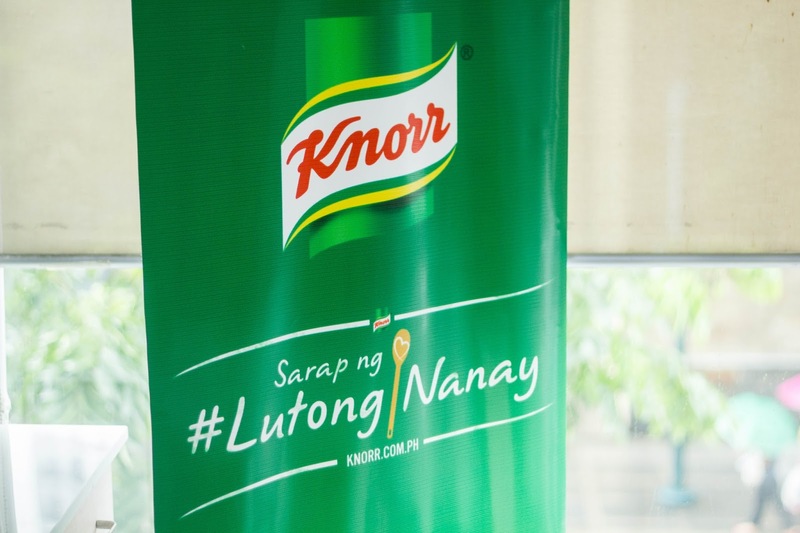 Just recently, the 3rd run of the Knorr #LutongNanay Campaign was held at The Cookery Place in BGC Taguig. 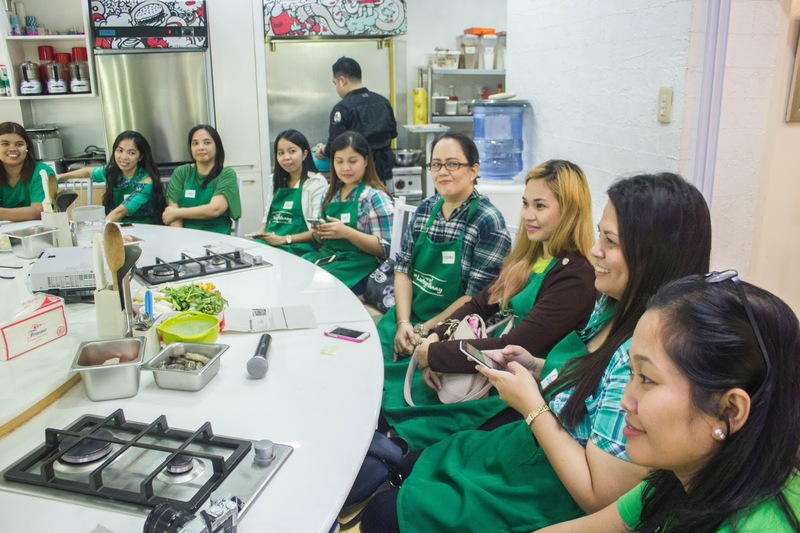 Mommy Bloggers were divided into 4 groups and were assigned 4 different variations of #AsimKiligPaMore dishes. One of the group were assigned to cook Knorr Sizzling Sinigang. Sounds unusual and weird right? Sizzling? Sinigang? Is that even possible? we all asked. But yes, it is! 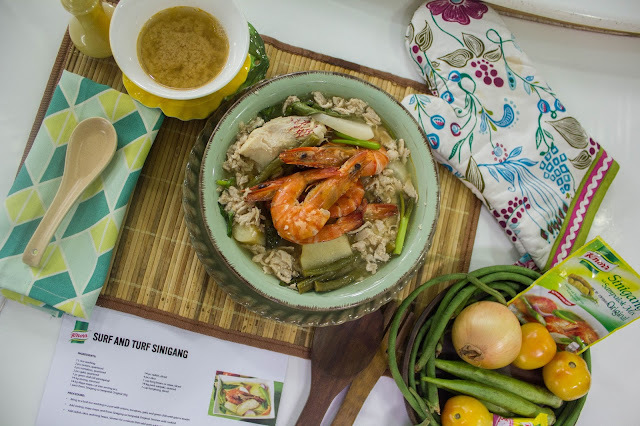 And now, I'm sharing with you all this Sinigang with a twist recipe that your family and friends will surely enjoy! 2. Remove meat and liquid from pressure cooker. 3. In a pot, add 6 cups of liquid from pressure cooker and combine with Knorr Sinigang Mix and Beef Cubes. Bring the mixture to a boil then simmer. Season with patis and soy sauce. Adjust seasoning to taste. 4. While sinigang broth is simmering, prepare the entire garnish. Deep fry shallots (unpeeled) and the garlic cloves (unpeeled) until crisp. Set aside. 6. Fry the chopped garlic until golden brown. Strain and set aside. 7. Sauté the French beans for a few minutes. Set aside. 8. Prepare the roux- in a skillet, add butter, when melted, add the flour. Cook for 1 minute. 9. 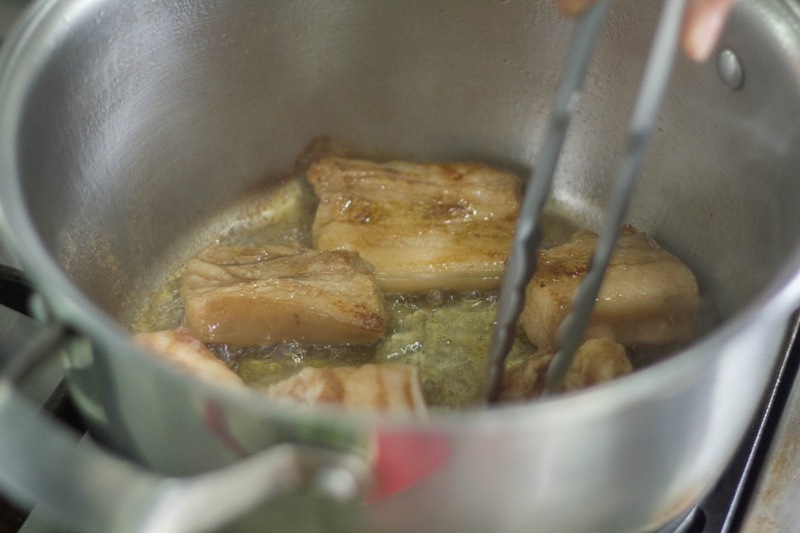 Use the roux to thicken the sinigang broth. Add the roux at a time to the broth while mixing with a whisk. 10. Start plating. Add the beef, beans, tomatoes, garlic and shallots on your serving sizzling plate. 11. Pour the sinigang broth on top of the plated dish top with garlic chips. Best served with cooked rice. I grew up with my mom cooking everyday for us and as a family we would happily feast on those home-cooked meals together. Aside from the sumptuous food, meal time also makes our family closer because this is a chance for us to talk and catch up after each others daily shenanigans. Those were the days I love looking back to, memories of our family being together and complete. Fast forward to the present, we now have our own separate lives as my siblings and I already have our own families too. And as a mom that I am now, one of the things that I admire from my mom is her passion and dedication in making sure that we feel loved and taken cared of with her home-cooked meals every day. I love cooking for my family too though I'm really not that good in it, the smiles on their face as they feed on the meals I was able to cook up (thanks to Google lol) makes me very happy. The kids are also the sweetest, they would always say "You're the best cook ever mommy!" hearing this makes me want to cook even more. However, with the fast paced life we have now and as a work at home mom without a helper, most of the time I feel time crunched. To catch up, I would resort to doing things as fast as possible and that includes cooking instant easy to cook meal or sometimes we opt for fast food delivery. 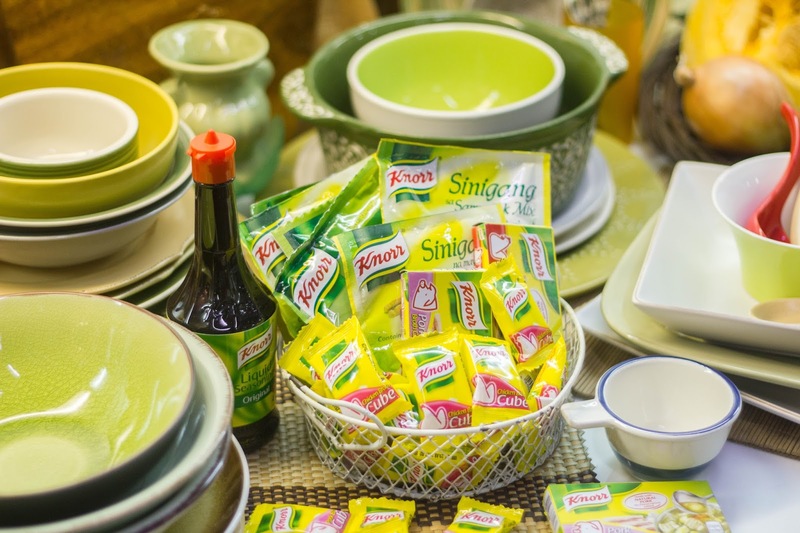 Knorr recognized this problem faced by every moms out there that's why they launched their #LutongNanay campaign which is now on its 3rd year. Knorr Lutong Nanay campaign aims to bring back the passion for food as shown in home-cooked meals to the Filipino families. The campaign also helps busy and working moms find time to cook for her family by introducing simple, smart and great tasting dishes that the family will love through recipe inspiration. And, to further promote Knorr’s #LutongNanay campaign, a follow up event was held last August 12, 2016 at The Cookery Place in BGC, Taguig. 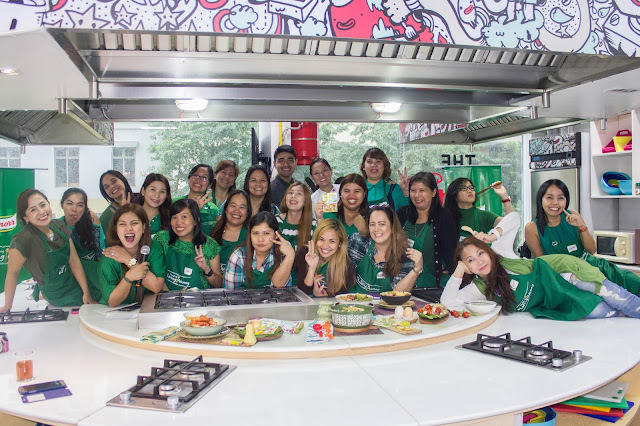 It was a privilege to be chosen to participate on this event together with some of the ultimate fellow foodie mommy bloggers who are very much passionate about food and flavor just like me. 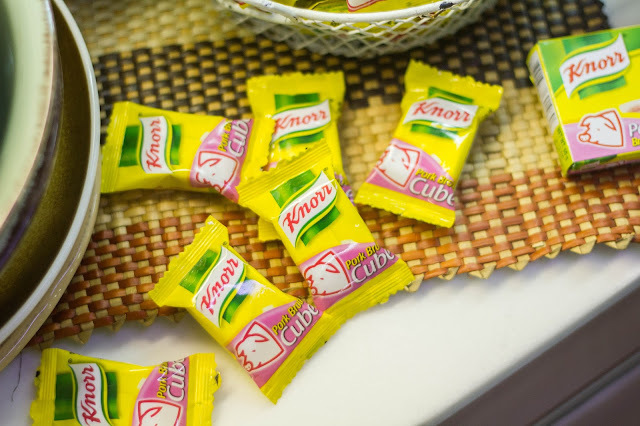 Our household is also loyal Knorr consumer, from their Sinigang Mix, broth cubes and their delicious easy to cook soups. 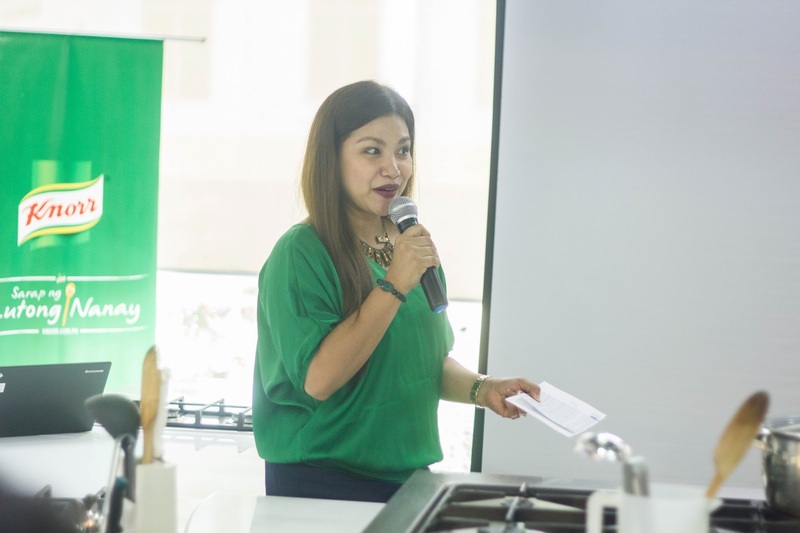 The event was hosted by Louise Fandino-Santos, a Knorr Mom and blogger of Mommy Practicality. It started with each of us introducing ourselves and sharing cooking stories, tips, family favorites, and our signature dishes wherein Sinigang is the most common answer given by everyone in the group. 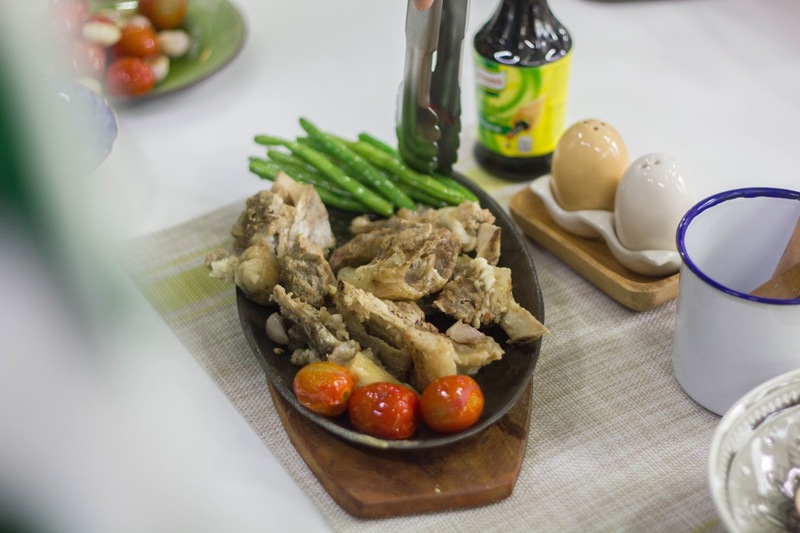 Indeed Sinigang is our all-time family favorite, pork, bangus, shrimp or beef you name it, plus it's very easy to prepare! 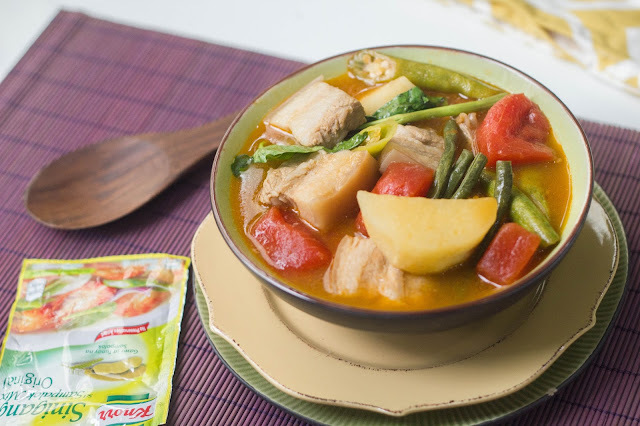 With Sinigang, I also get my kids to eat veggies and they love the #AsimKilig warm soup, yum! Because it's an all-time family favorite, the event focused on Sinigang. We were shown clips from one of their old advertisement, and the present. Then Chef Kai – a talented chef and a mother to two –did a cooking demonstration of the Knorr Sinigang sa Pakwan. 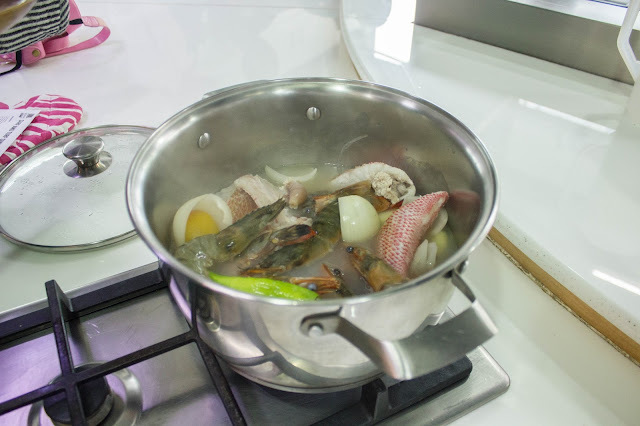 After which, we were divided into 4 groups and each group were challenged to cook different variations of Sinigang dish. The Four different Sinigang variations that we prepared and enjoyed that day, was the Knorr Sinigang with Pakwan, Knorr Surf and Turf Sinigang, Knorr Sizzling Sinigang. and the Knorr Sinigang na Liempo sa Sampaloc which was prepared by my group. All these variations are not usual to all of us so we were really curious and excited. Ours was the original version and the easiest to prepare among the four recipes. Everyone was busy cooking but you can sense that we are all having a great time. 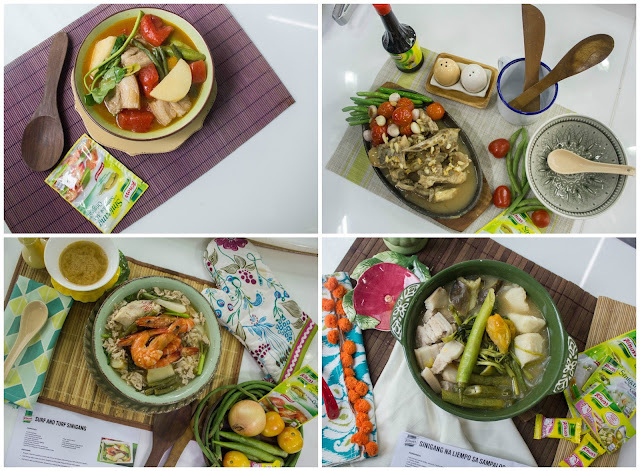 After cooking, we plated our Sinigang dishes making use of the props available, each of us channeled our inner photography and flat lay skills that are Instagram worthy. It was one of the memorable event that I attended. Aside from learning something new that day it was also a chance for us mommy bloggers to bond and get to know each other, it was so much fun! So, here are the finished products that each groups prepared. Caution: Drool worthy! 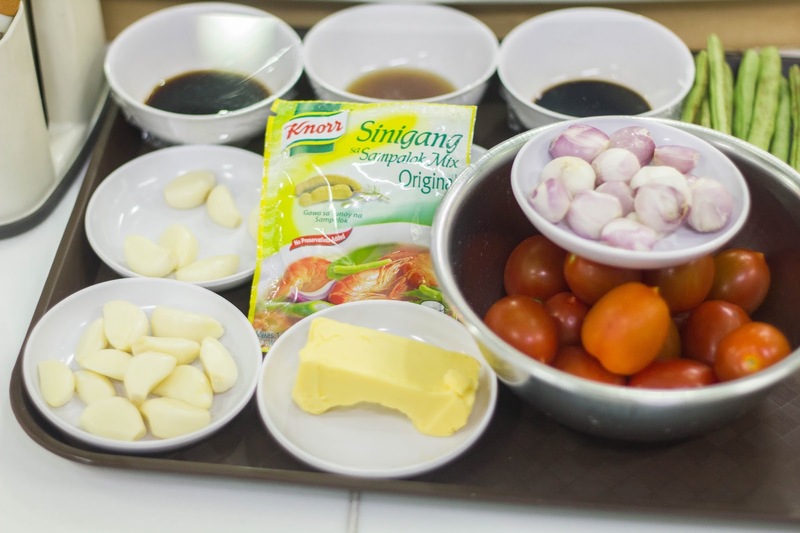 I'm so excited to whip up these new #AsimKiligPaMore Sinigang dishes for my family. 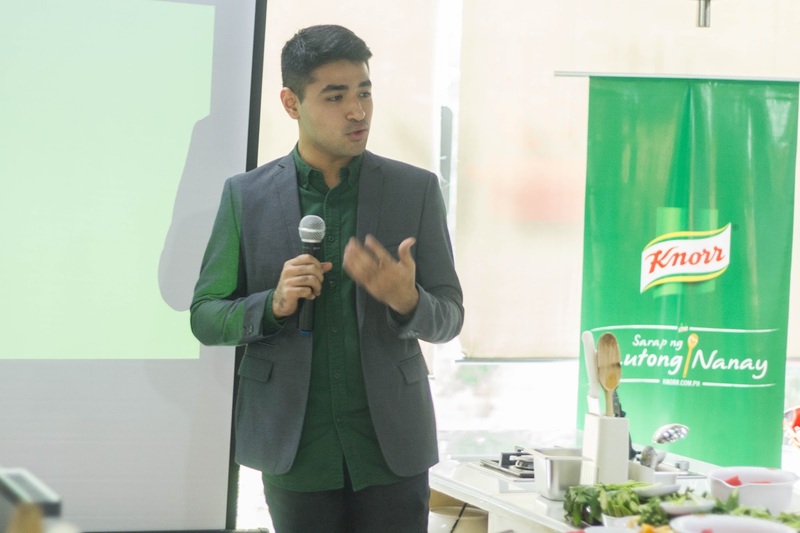 Thank you Knorr for having me and for bringing flavors to the Filipino lives for more than 45 years now and counting! 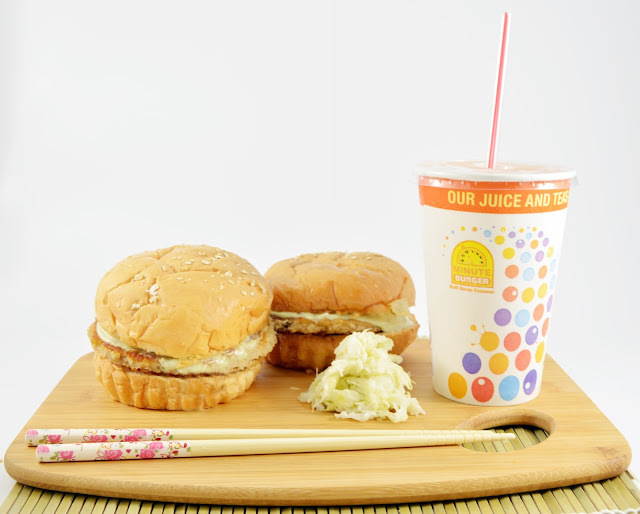 Minute Burger's Crispy Chicken Burger with Wasabi, Now Available! Last August 12, 2016, Minute Burger launched it's latest product that's gonna tickle our taste buds- a Japanese-inspired burger. Well it’s common for food businesses to always innovate and offer something that a competitor doesn’t have. So after launching Bacon Cheese Burger and Black Pepper Burger four years ago, Minute Burger saw its customer profile mature, many of these were new customers looking for new flavors entirely different from what are being sold on run-of- the-mill burger shops today. In the latter part of 2015, they introduced their third addition to BIG TIME – Minute Burger’s sub-brand of premium sandwiches and became available nationwide. Beef Pizza Burger –two premium sandwiches slathered with spiced hams and special pizza sauce – quickly became an easy bestseller. With their primary objective to excite customers and sustain increase in store sales, Beef Pizza Burger was shortly followed by Crispy Chicken Burger with Wasabi. Inspired by its Japanese roots, the new sandwich is assembled using a thicker, crunchier chicken patty crowned in shredded cabbages and sweet wasabi, all trapped in our signature oatmeal-sprinkled bun. Today’s food trends gravitate toward dishes combining flavors with international renown, and wasabi is undeniably one of the world’s most popular spices. Customers will surely find what they’re looking for in Crispy Chicken Burger with Wasabi: a satisfying light sandwich that packs a refreshing, cool spicy punch that won’t knock your tongue out unconscious. The most wonderful news is this . . . It’s Buy One Take One for P58 only! If you are familiar with Japan’s most famous condiment then you will surely look forward to this enjoyable and smooth wasabi kick that crawls up the nose from the very first bite down to the last! 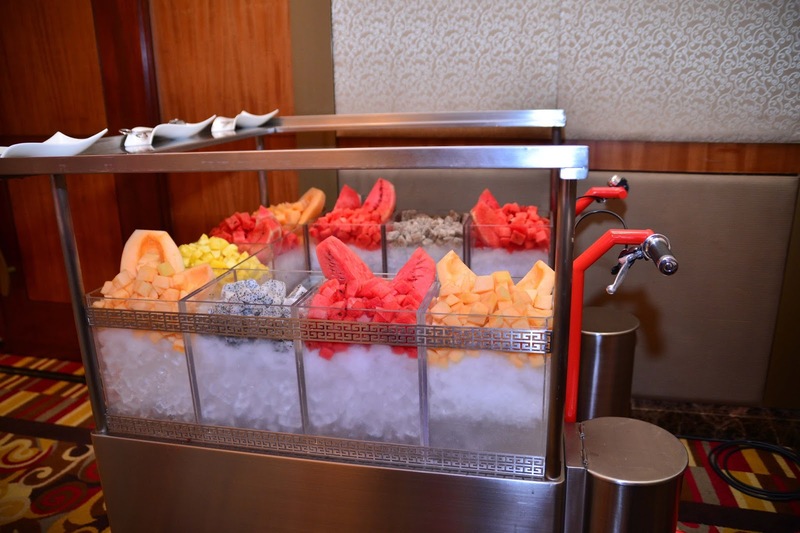 With the rise of technology, people have grown more pre-occupied of so many modern things, forgetting the basic and most important of all -- -healthy but good food. Because we’re too busy and have less time to stay in the kitchen, we’ve grown so accustomed of eating fast or fried food. 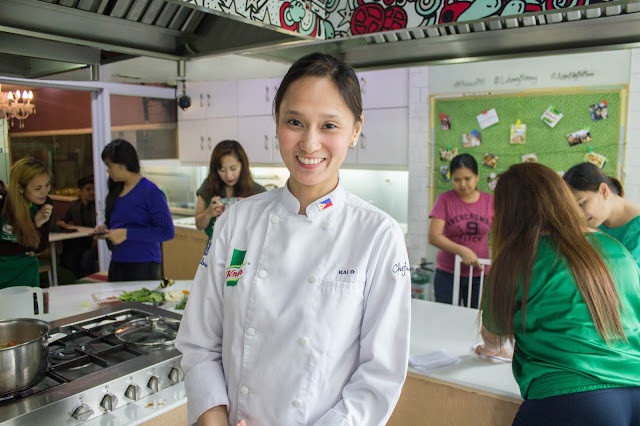 Len Santos-Ding, mom chef instructor believes that a deliciously healthy meal doesn’t have to be boring by incorporating real and whole ingredients that are not hard to prepare at all. Whisk together the peanut butter and yogurt. 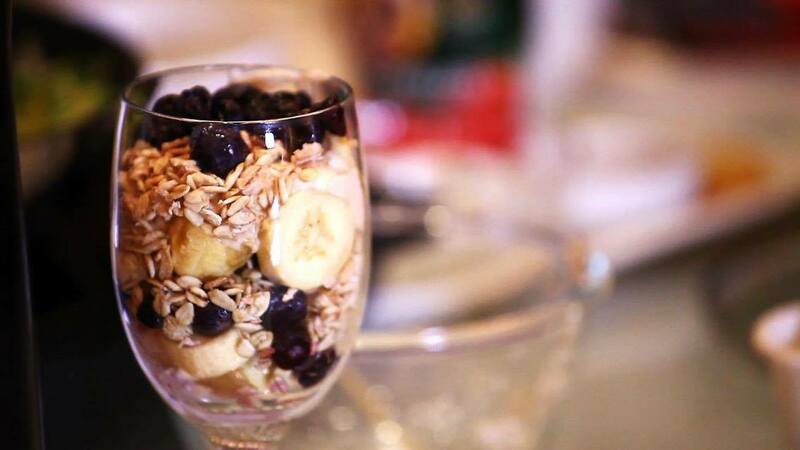 In an individual serving bowl or water goblet, layer half of the bananas. Top with 3 Tbsps of blueberries. Top with half the yogurt mixture and sprinkle with 3 tbsps of muesli. Repeat to make 2 layers. Keep it chilled until serving time. 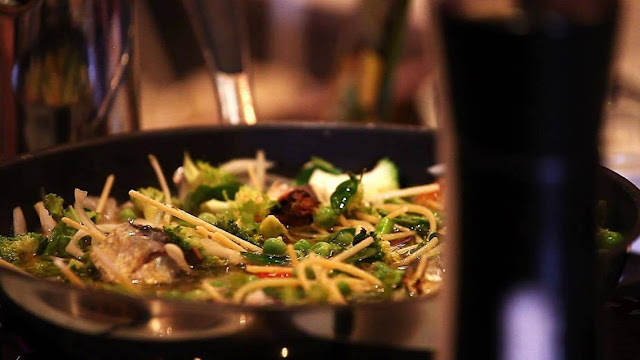 In a large pot, add 2 ½ cups broth, spaghetti, onions, broccoli, asparagus, garlic, and cherry tomatoes. Season with red pepper flakes, salt and pepper. Drzizle with Dona Elena Olive Oil and set over high heat. Once it starts to boil, set the timer to 7 minutes. Toss once in a while using tongs. After 7 minutes, pasta should be almost cooked. If broth is drying out, add ½ cup more. Add peas and Clara Ole Cheesy Pesto. *You may add shrimps at this point if you wish. Once it’s done, adjust seasoning if needed. Toss in greens such as malunggay leaves. Add grated parmesan cheese. Put quinoa in a fine mesh strainer. Rinse under running water until water runs clear. Heat oil in a saucepot over medium heat. Saute garlic. Add mushrooms and cook for about a minute. Add quinoa. Add more oil if needed. 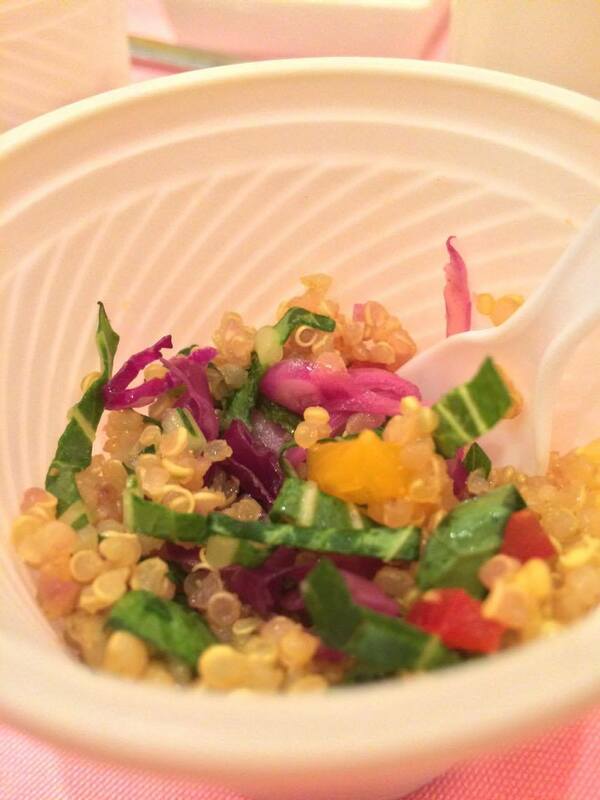 Quinoa grains must be coated with oil so it will be fluffy when cooked. Let it simmer then cook for about 15 minutes. Once cooked, add the bell peppers, purple cabbage, flat parsley and bokchoy. Grate some dried shiitake on top for added umami. Cover so vegetables will soften in the steam as you make the dressing. To make the dressing, whisk together lemon juice, orange juice and olive oil. Or you may put the ingredients in a small bottle and shake well. Season with salt and pepper. Pour over the salad while still hot. Add mandarin oranges. It may be served hot, room temperature or cold. Remember: “If your body is not starved for nutrition, it doesn’t crave junk food,” So choose wisely and healthy! Back in the days, I wasn't really that conscious about my figure. I was blessed with a skinny body frame so dieting and exercising wasn't really my thing. I can eat as much as I can and anything as long as it's edible and I don't gain weight. When it comes to physical activities, I'm pretty much on the go as I was still very young back then. The only time I get to exercise was at school, during our P.E class, or whenever my friends and I would go swimming and on occasions we go dancing at the clubs though I'm really not a good dancer lol. Life was that fun and easy, I get nostalgic reminiscing the past. Fast forward to the present, I am now a mom to 3 active and lovely kids. Though I didn't grew big nor significantly gained weight during my pregnancies my body has undergone a lot of changes. After giving birth and coping up with the new chapter of my life, I lost weight. Looking back on my old photos, I looked sick because I was really thin. Then the next thing I know, I was gaining weight. I started to become conscious with my body so I try to compensate by binge eating. Thank God for my genes, I didn't get fat but my thighs and my tummy became flabby, again I felt a bit insecure. I started watching workout exercises online and exercised at home, but ever since I started working plus mommy duties at home I wasn't able to find time to exercise anymore. I also attempted to go on a diet but I failed big time, I can't resist eating. I just love to eat! Eventually, getting fit was no longer my priority. I used to say I still need to look good and feel good even as a mom but I got used to my lifestyle already and thought to myself, "I'm already a mom anyway who cares if I gain weight or look a little fat!". But a few weeks ago, this mindset of mine was changed when I received an invite to a day of Fun, Food and Fitness with Jeunesse Anion. The event made me think things through. First of all, what is Jeunesse Anion? Jeunesse Anion is a Sanitary Napkin by Wellgold International Inc. which is the first anion sanitary pad available in the retail market today. 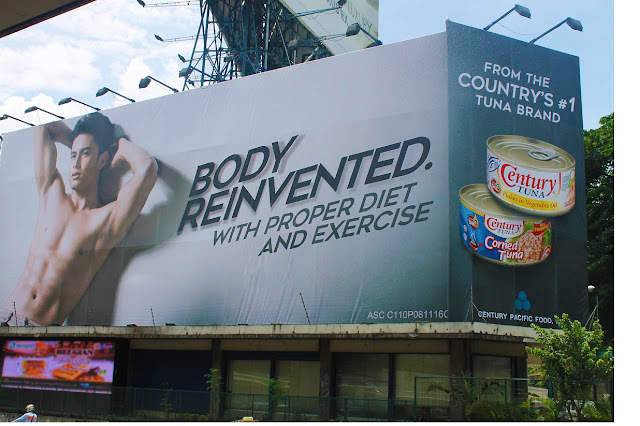 They aim to give Filipinos top-rated quality and innovative products that are specifically designed to give value to the users, their health, and their lifestyle. I have seen this product on a documentary show on television before but haven't got the chance to try it until now. At the event we were given Jeunesse Anion Napkin and I'll be making a personal review about it soon. 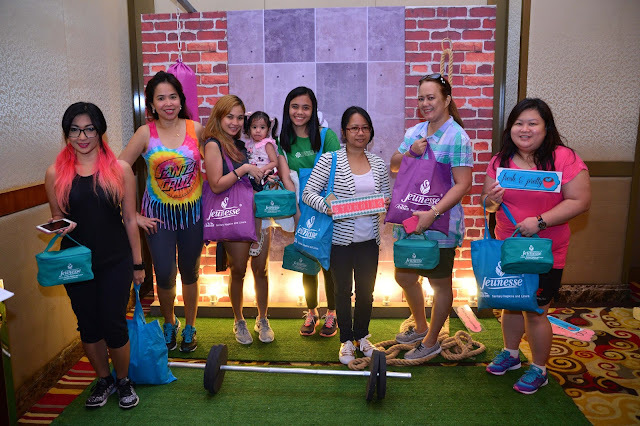 Staying true to its advocacy – to provide sanitary pads and liners that help to do more for our wellness and by empowering women to get into the habit with practical healthy living upgrades. 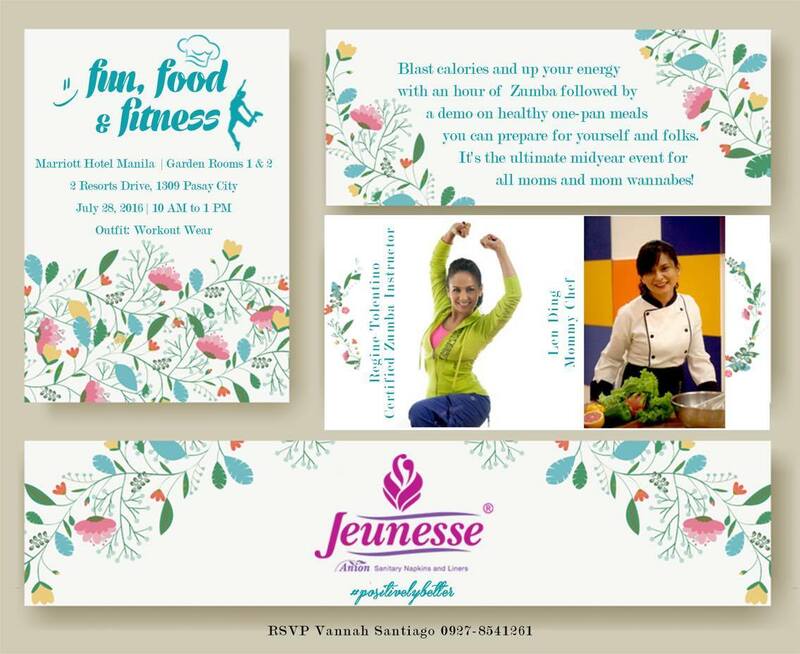 As a mid-year treat to all hard working moms, Jeunesse Anion has partnered with Marriott Hotel Manila to freshen up those habits and stay motivated with an hour of Zumba and exciting demo of healthy one-pan meals, courtesy of Simply Cereal, Doña Elena Olive Oils, Clara Ole, and Al Dente Pasta. First thing I thought when I got the invite was, Shocks! I don't think I can do Zumba as I am not really good in dancing, but it surely is an event I don't wanna miss so I said yes! However, a week after the invite, inevitable things happened. Hubby's lola got sick and was confined (she's now in heaven) at the hospital, so hubby's cousin who was supposed to baby sit the kids can't baby sit because she was the one watching over lola at the hospital. Since I already confirmed my attendance for the event, I was hesitant to cancel last minute so I asked if I can take Brianna with me instead and Ms. Vannah said yes. I seriously din't know what I was feeling then, I felt somehow relieved that since I'm with Brianna I had an excuse not to do Zumba and save myself from shame haha. But still I brought along with me working out outfit just in case, you know. We arrived late at the event with my blogger friend, Eihdra and the event already started, everyone was already dancing Zumba and they seem to be having a lot of fun! I was tempted to join them but Brianna didn't want to be left behind so I just watched. Their lively energy is so contagious. By the way they were dancing Zumba with the multi-awarded celebrity host and performer Regine Tolentino. 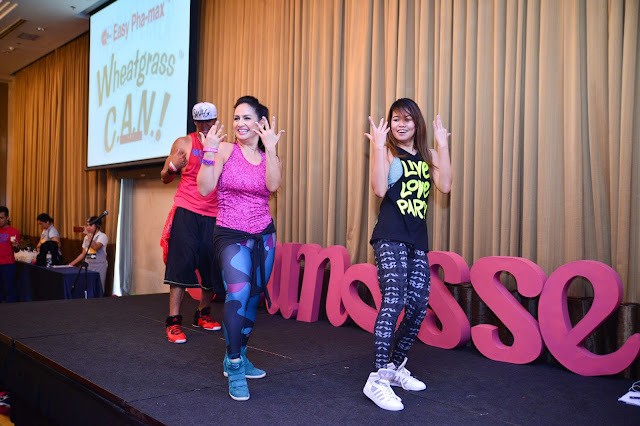 She’s the country’s “Dance Diva,” and a strong influencer in the dance fitness industry who proves that it’s one of the best ways to recharge our batteries. Regine is a licensed Zumba ® and U-Jam ® Fitness instructor, and certified by the AFAA (Athletic and Fitness Association of America). These lively and lovely bloggers got an award for performing their best at Zumba! Exercising to music like doing Zumba has loads of physical and mental benefits including improved condition of heart and lungs, increased muscular strength and tone, while reducing risks of osteoporosis and heart attack. Attending Zumba classes not only develops healthier body, it also helps moms become socially active, increasing emotional power. Much more, it have a mood-boosting benefits as it favors the release of endorphin that helps us melt not only fats but also PMS symptoms like moodiness. After all the Zumba, we were treated with sumptuous but healthy meal. 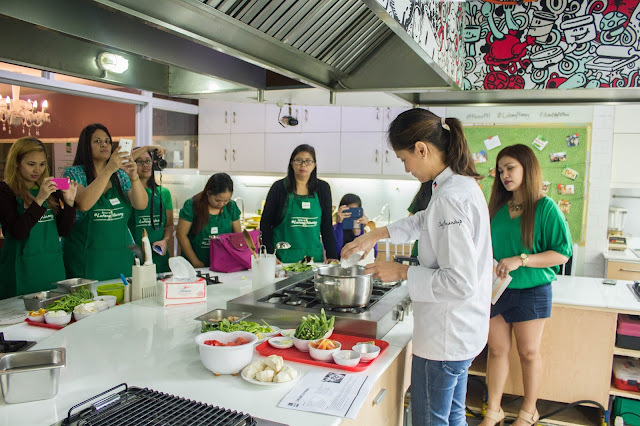 We were also introduced to Len Santos-Ding, a chef instructor at Heny Sison Culinary School, contributor of recipes to Yummy magazine, and holds regular cooking and baking workshops in Kitchen Studio at Ayala Alabang Village. She also manages their family catering business Feed 5000. On top of her many jobs, Len is a super mom and like many others, she only wants the best for her family and loved ones. Len started catering when she was 19 while taking up BS HRA in UP Diliman. She enhanced her food knowledge and skills, and finished a two-year culinary program at CCA Manila. From then on, she continued to promote nutritious meals recipes but not intimidating for the family. 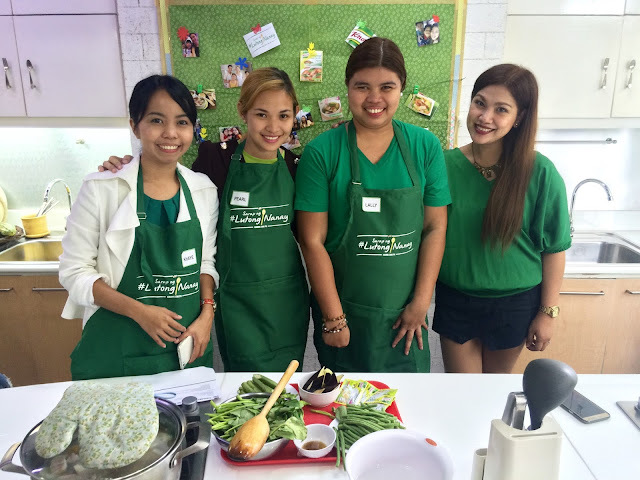 At the event she taught us how to prepare foods that are high in nutritive value, infused with antioxidants and good fats. “If your body is not starved for nutrition, it doesn’t crave junk food,” she said. “Preparing healthy meals start from grocery shopping. Choose food that is real and fresh but just as satisfying. It should give you energy throughout the day,” she added. 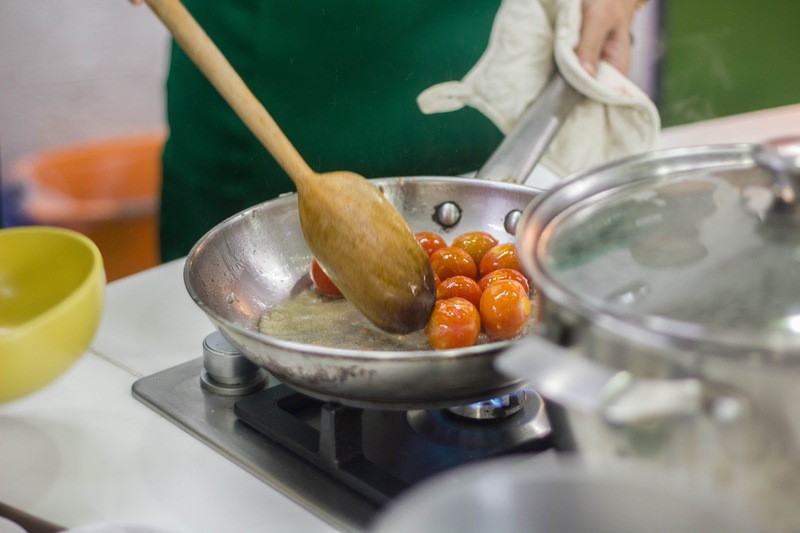 Len’s tip: Choose easy to prepare recipes so you don’t get discouraged halfway through and opt for fast food. It was indeed a day filled with fun, food and fitness, I just felt a little sad that I missed the Zumba part. But then again I learned a lot. I learned that being fit and healthy shouldn't be a goal but a lifestyle. 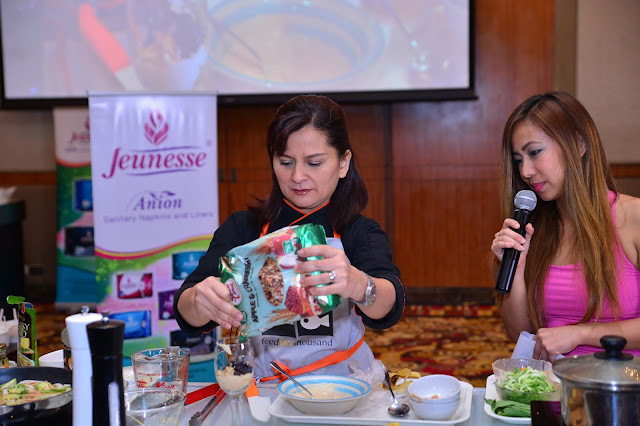 Jeunesse Anion understands that moms have a plateful of things to do both at home and at work, but busy is not an excuse. Apart from the aesthetic purpose, I realized that being fit makes me a better me and I think that being at our absolute best self is the ultimate gift we can give to our family. I also learned that I really didn't have to starve myself to be fit, so dieting is not a healthy option to lose weight. What's important now is the quality of food that we eat, it shouldn't be just delicious but it should also be nutritious. 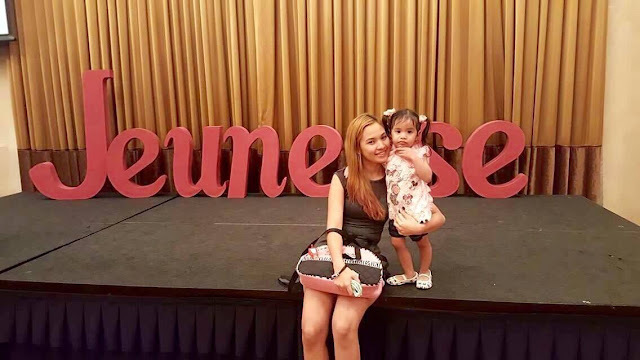 And when during that special time of the month comes, we now have an ally, Jeunesse Anion sanitary napkin and liner that helps eliminate bacteria, odor, and relieve menstrual discomforts such as cramps and dysmenorrhea. 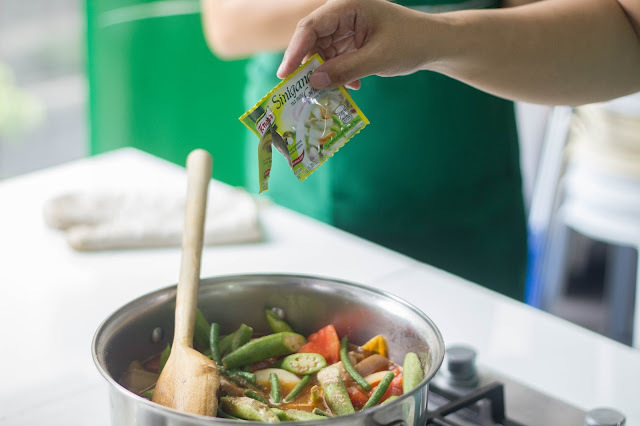 Since it’s also the first anion sanitary napkin available in the retail market with quick absorbing top sheet and breathable material made of virgin pulp cotton, there’s actually no excuse to feel crappy about exercise and preparing our own meals. Much more, its non-liniment material helps fight vaginal infections or irritations that’s guaranteed safe for pregnant women and new moms. 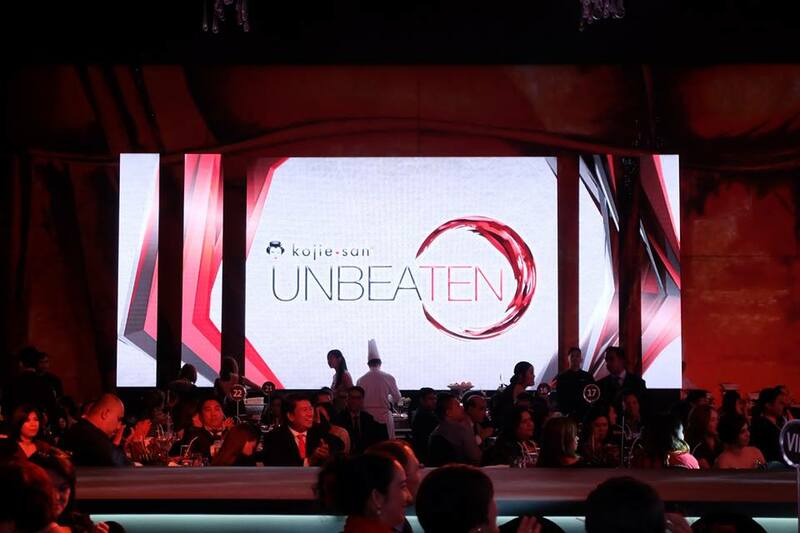 Thanks again Jeunesse Anion for this wonderful event and for letting us embrace our womanhood. I look forward for more events like this! Wellgold International Inc. distributes Jeunesse Anion Sanitary Napkin and Liners and currently available at Watsons, selected Mercury Drug outlets. SM department store’s health and beauty section, Robinson’s Supermarket, Shopwise, Rustan’s, Waltermart, Landmark Department store, UP Town Center’s Merkado Department Store, PCX stores, selected Metro Gaisano outlets, selected LCC Malls in Bicol, plus other stores nationwide. You may also purchase it online via www.lazada.com.ph. 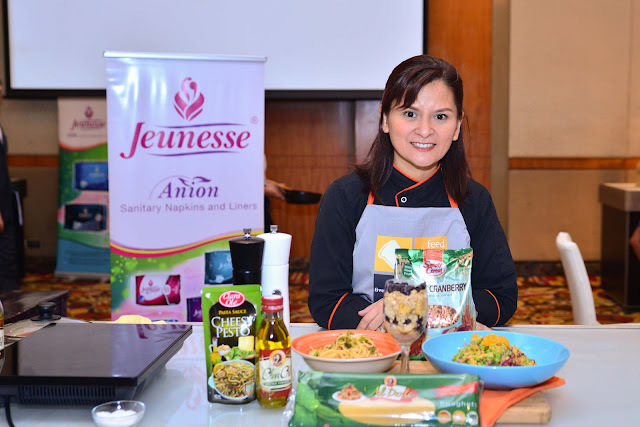 For more information, log on to www.jeunesseanion.com and follow Facebook, Twitter, and Instagram: Jeunesse Anion. For inquiries, email: wellgoldinternational@gmail.com or call (02) 4701294. I have a neutral complexion, thanks to my ancestors genes for that! However, growing up other people thinks otherwise. Whenever I shop for clothes or shoes with friends they would always tell me any color suits me because my skin is fair. I don't know if they are just trying to be good friends to me or my complexion is really fair? Haha. Honestly I don't use whitening products maybe because I'm just fine with my complexion. But unlike before when I was still a full time mom and mostly stay at home, right now because of my work and blogging events I get to go out from time to time. Husband and I are also travelling more compared before and undeniably daily exposure to the sun and pollution causes skin to turn dark right? Thanks heaven for whitening products such as soaps and lotions we have allies against skin darkening. But with the many whitening products out there it's really hard to choose which is best for us. Well when it comes to making decisions as far as vanity is concern, my mom has one a big influence to me. She's way more kikay or vain than me. She's an avid user of whitening products and one of the products I grew up seeing from her is Kojiesan. I also knew some people who are loyal users of the product and so far all of them have fairer and lighter skin complexion. Undeniably Japanese women also have smooth and fair complexion and Kojiesan is formulated the traditional Japanese way which makes me eager to try it out as well. What made me even more interested is when I got an invite to attend their event last August 8, 2016 at Sofitel. It's not just any event, it's a celebration of their 10 fruitful years of bringing a lighter, flawless and more beautiful complexion to Filipinos. It was one of the event I was looking forward to for so many weeks but unfortunately, something came up on the day of the event so I wasn't able to attend anymore. But because I'm interested with the product I made some researches. Beauty Elements Venture’s Inc. (BEVI), the manufacturer of the country’s favorite skin-lightening product, Kojiesan success story is a testament to the undaunted determination of its owner. From a few dozen orders to millions of bars sold, the soap steadily became a favorite among Filipinos. The innovative product reached consumers across the country, and soon after, distribution went worldwide as an export commodity. BEVI launched the original kojic acid soap formulated the traditional Japanese way and made it even better by adding high-grade virgin coconut oil into the mix. Kojiesan is an exceptional treatment to even out skin tone, erase dark spots, and other forms of skin pigmentations. It also corrects skin discoloration while lightening the skin. 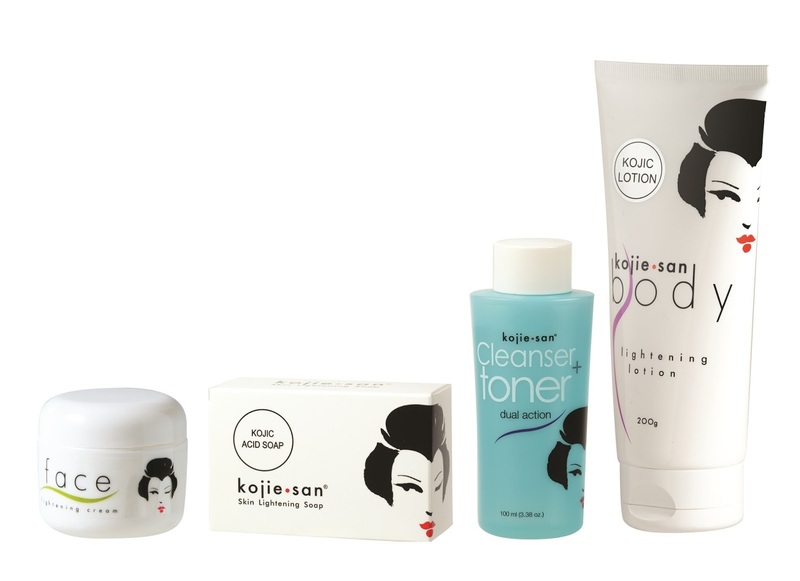 The Kojiesan Classic Line includes the Skin Lightening Soap, Cleanser+Toner, Face Lightening Cream, and Body Lightening Lotion. 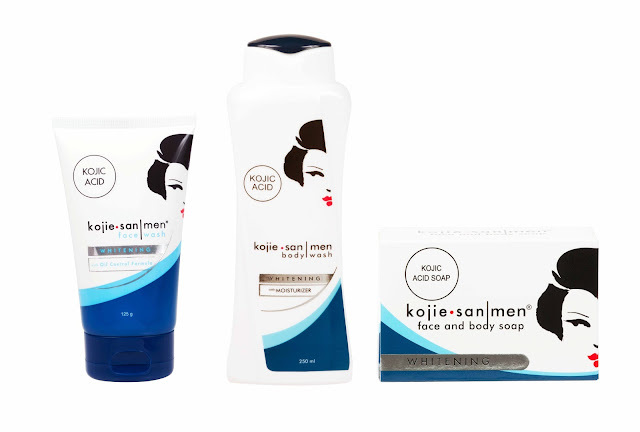 With the success of the Classic Line, Kojiesan was able to extend its product lines to other categories such as anti-aging, acne treatment, men's skincare, cellulite control, sunblock, and fragrances. Results vary individually. How your skin reacts to any skin lightener will depend on your unique skin sensitivity, the extent of the pigmentation, and/or daily sun exposure. Initially, an improvement should be seen in the first or second week, then the ultimate result within the next 30 days or a few weeks thereafter. Kojiesan’s commitment to quality is reflected in the recognition it garnered for five consecutive years as “Bath Soap Brand of the Year” at the Watson's Health and Beauty Awards and Consumer “SM Top Choice” Awards. With more tricks than truth behind what brands say, Kojiesan enjoins us to be careful with what we buy. Some labels brandish catchy, creative terms ---triple effect this, intensive that, pinkish white whatever, and touting invented numbers --- 4 tones fairer, 7 days faster--- with zero consideration for your natural skin’s reaction to adverse products. And for all the claims and white lies told, the question remains: have they shown us results? It’s time we see the light. No lab-made chemical complexes, no marketing-invented promises. Just you and your natural beauty, shining at its lightest. The proof is in the pigment, and seeing is believing. So don’t let those brands tell you what works for you. Join the millions who’ve witnessed visible results, because it’s time to BRING YOUR SKIN TO LIGHT with the country’s No. 1 kojic soap: KOJIESAN! SEE IT YOURSELF. “We will continue to innovate products and expand our distribution to bring the highest level of consumer experience to a greater number of people. 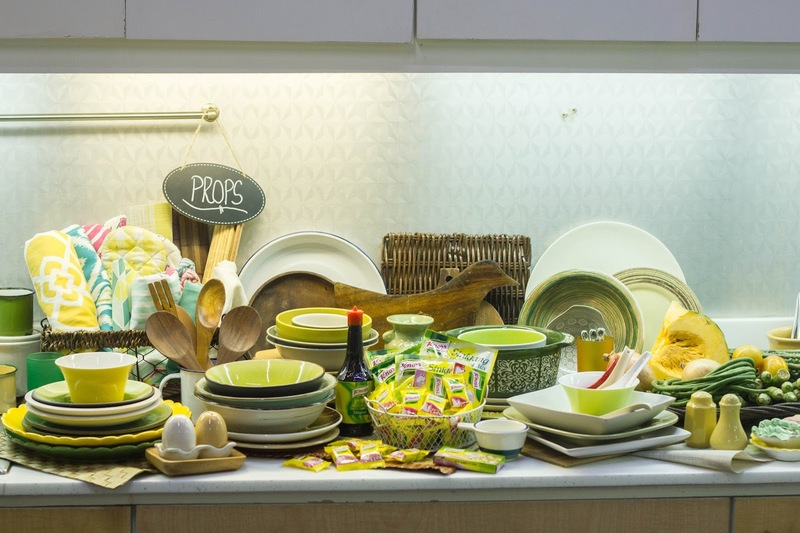 We want to be known as the company who delivers quality and effective products,” says BEVI marketing head, Tricia Gregorio. I'm pretty satisfied with what I learned about them and I can't wait to try Kojiesan for myself and share my personal experience with you. Congratulations for the 10 fruitful years Kojiesan!